Seat height of 12.5 inches. 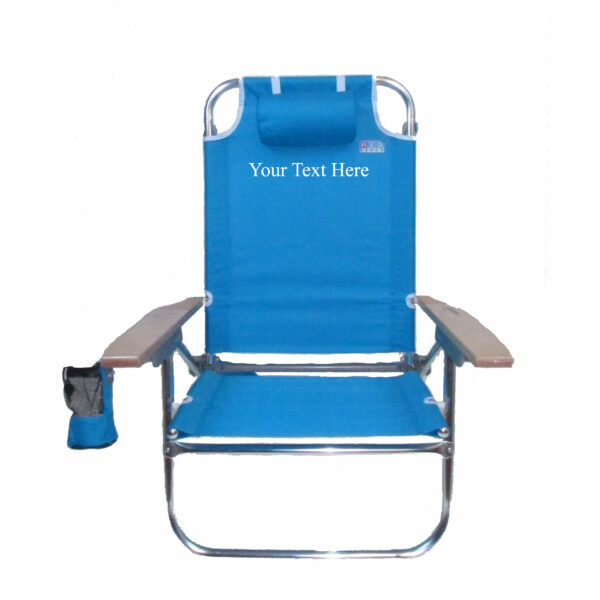 Features a drink holder, cell phone pouch, and scratch resistant solid hardwood arms. 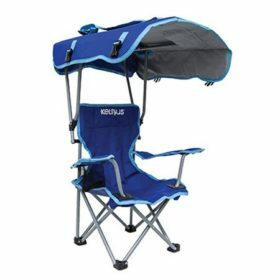 Weighs 9 pounds with a weight capacity of 250 pounds. 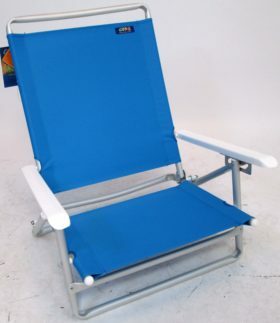 The Hi-Boy® Lay-Flat beach chair has a lightweight aluminum frame for easy carrying to the beach and backyard-height for comfort. 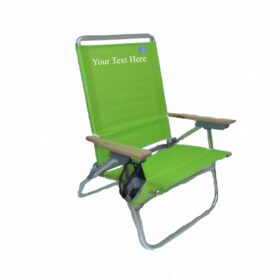 The seat is 12.5″ off the ground and adjusts to 5 positions, including lay flat. 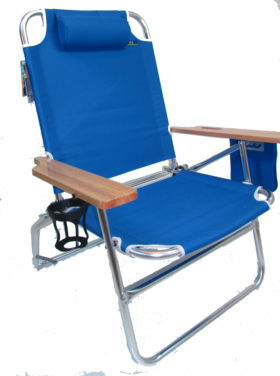 The wood arms have specially designed safety brackets that never pinch to keep fingers and hands safe. Keep your valuables sand-free in the zippered pouch. Comes with cell phone holder, drink holder, and adjustable pillow. 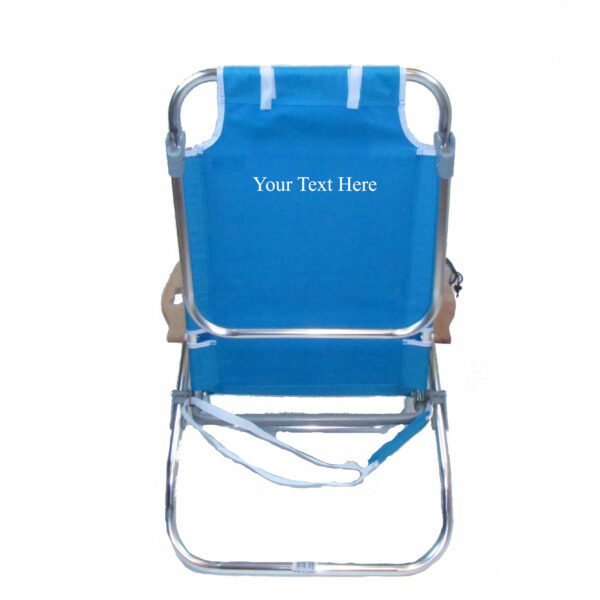 It’s made of durable polyester fabric and a lightweight, rust-proof aluminum frame. 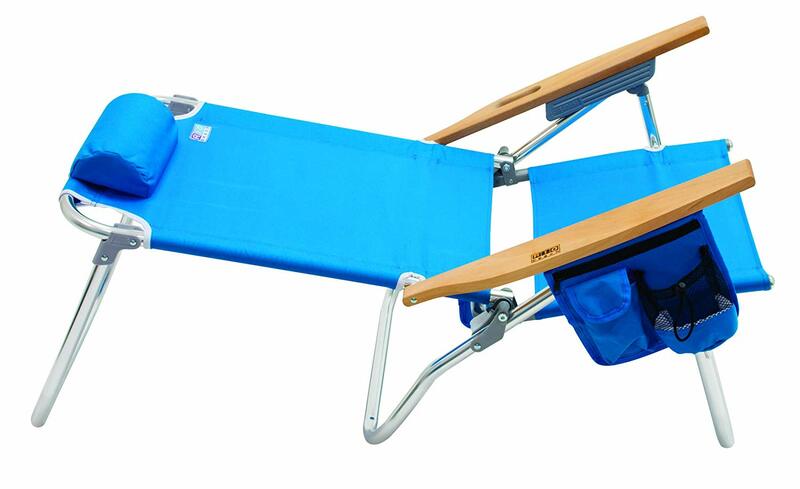 This chair’s comfort and versatility are hard to beat. You will enjoy this chair for years to come.